39 Many regions, cities, and towns around the world are planning or envisioning their renewable energy futures.a In many respects, cities and local governments are at the forefront of meeting the integra- tion challenges noted in Chapter 2 for buildings, transport, and even electric grids. And many of the business models noted in Chapter 3 are evolving through local initiative. In addition to a variety of planning approaches, specific policies for renewable energy can be found in hundreds of cities around the world. Such policies can include targets, subsidies, public investment, innovative financing, bulk procurement, green power purchasing, building codes, trans- port fuel mandates, municipal utility regulation, and many others. And local policies for renewable energy often complement, and in many cases go beyond, national-level policies.1, b Interviews with local government officials and stakeholders, together with a range of local planning documents and published literature, suggest that in the coming decades, many cities and local communities around the world will have transformed their energy systems into much more localized and sustainable systems that integrate renewable energy in many possible ways.2 Intheinterviews,localexpertsenvisionedgreateruseoflocalrenew- able resources of all forms, mixed with smarter, interconnected energy flows from neighboring or distant regions. They foresaw renewable energy integrated with intelligent energy management systems at a local scale, and with practices and technologies that maximize the use of local resources. And they foresaw this integra- tion across all sectors: electricity, heating, cooling, and transport.3 The number of city and local governments engaged with their long- term energy futures is in the thousands. The most prominent col- lection of local approaches is the EU Covenant of Mayors, which has brought together more than 4,500 local governments from Europe and around the world to adopt future targets and plans for climate mitigation, energy efficiency, and renewable energy. Over half of the world’s largest cities have adopted action plans for climate change, many of which explicitly target renewable energy for reducing greenhouse gas emissions.4 Many local emissions-reduction targets extend to 2020 and beyond, typically for 20–50% reductions from baseline levels, although some are higher. For example, Tokyo (Japan) targets a 25% reduc- tion by 2020, Oslo (Norway) targets a 50% reduction by 2030, and both Chicago (USA) and Hamburg (Germany) target an 80% reduction by 2050. Stockholm (Sweden) has a unique emissions tar- get: reduction of per-capita emissions to 3 tonnes of CO2 by 2015. And cities in India such as Rajkot and Bhubaneswar target specific reductions in fossil fuel use. In addition, a number of cities and local communities around the world plan to use 100% renewable energy or aspire to become “carbon neutral” or “fossil fuel free.”5 (See fol- lowing “100%” section.) Hundreds of cities have established targets specifically for renew- able energy, most to 2020 and beyond. There are several common types of target. One is the share of total electricity consumption within the local jurisdiction from renewable energy. Such elec- tricity-share targets typically range from 10% to 30%. For example, Sydney (Australia) targets 25% by 2020 and Cape Town (South Africa) targets 15% by 2020. Some cities target the share of elec- tricity consumed only by the local government itself, for its own buildings, vehicle fleets, and operations. Such “own-use” targets can range from 15% to 100%. For example, Austin (Texas) and Portland (Oregon) in the United States target 100%.6 Another type of target is the share of total energy from renewables, including transport and heating. For example, Calgary (Canada) tar- gets 30% by 2036, and Seoul (South Korea) targets 20% by 2030. Some targets apply to biofuels use in public transport or vehicle fleets. For example, Stockholm (Sweden) targets 100% of public transit buses running on biogas or ethanol by 2025. And some tar- gets are for total amounts of installed renewable energy capacity or number of installed units. For example, Los Angeles (USA) targets 1.3 GW of solar PV by 2020, Kunming and Dezhou (China) both tar- get 50% of homes with solar hot water, and Iida City (Japan) targets 30% of homes with solar PV.7 Thefollowingsectionspresentvisionsoffuturecityandlocalgovern- ment roles and infrastructure development, in terms of integration of renewables into urban planning and built infrastructure; urban mobility; emerging “smart cities” paradigms; and 100% renewable districts, cities, and regions. These visions emerged from interviews with city officials and stakeholders, along with documents accumu- lated from over 60 cities in Europe and in Brazil, China, India, Japan, Morocco, South Africa, and the United States.8 Integration Into Urban Planning and Built Infrastructure A wide range of urban planning approaches and goals emerged from the interviews and documents. Experts envisioned investments in local infrastructure and urban landscapes that integrate distributed renewable energy across all sectors. To achieve this integration, they said that cities and local communities are increasingly focused on understanding, mapping, maximizing, and managing renewable resources—using tools like “smart grids” for electricity, heating, and cooling. Experts noted that urban planning approaches in par- ticular include the integration of renewable energy into low-energy buildings and heating and cooling infrastructure. Urban planning can also include local control of municipal utilities and local power grid infrastructure.9 (See also buildings in Chapter 2 and "Great Debate 5" on page 27.) 04 a) Thanks to Lily Riahi for conducting research and interviews that formed the basis for this chapter, and for co-authoring the text. 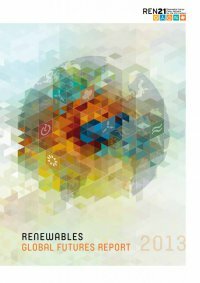 b) For a full set of local policy examples beyond those in this chapter, see annual editions of the REN21 Renewables Global Status Report.